Dubstep has become a popular genre of music throughout the world. 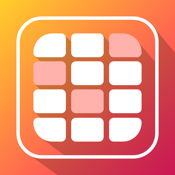 Whether you are looking to enjoy some apps for fun or to make your own dubstep music, this list has you covered. We have some of the most popular Dubstep beat makers and related tools that can help you become a Dubsteppin’ sensation. 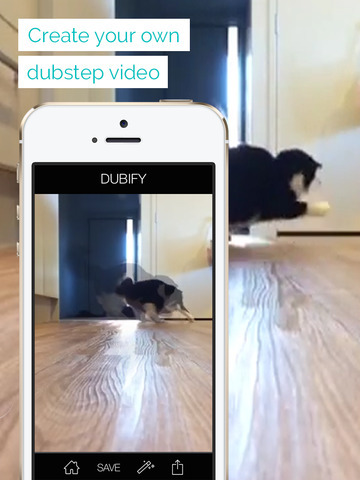 We also have some apps that add Dubstep effects to your videos. So, check out our list and satiate those Dubstep desire. 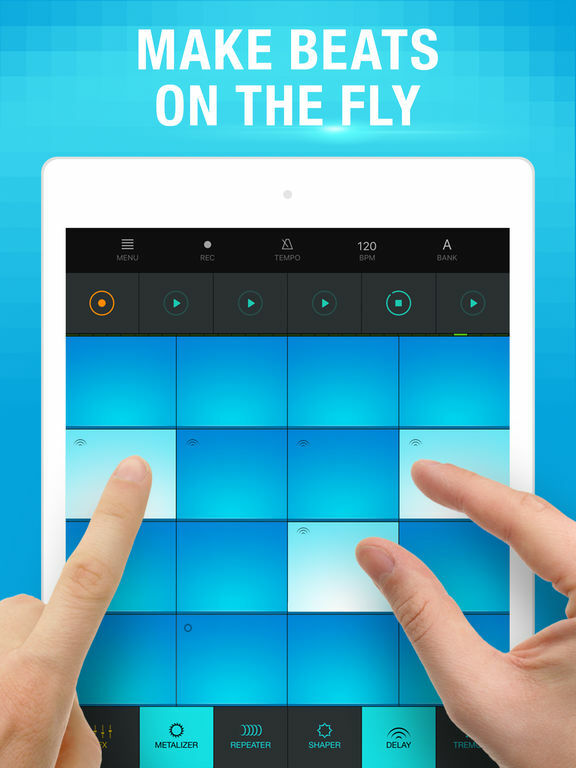 This app is great for users who want to have fun and for those that are more serious about creating their music. In addition to Dubstep, there are numerous other genres that 12 Pads would be suitable for. 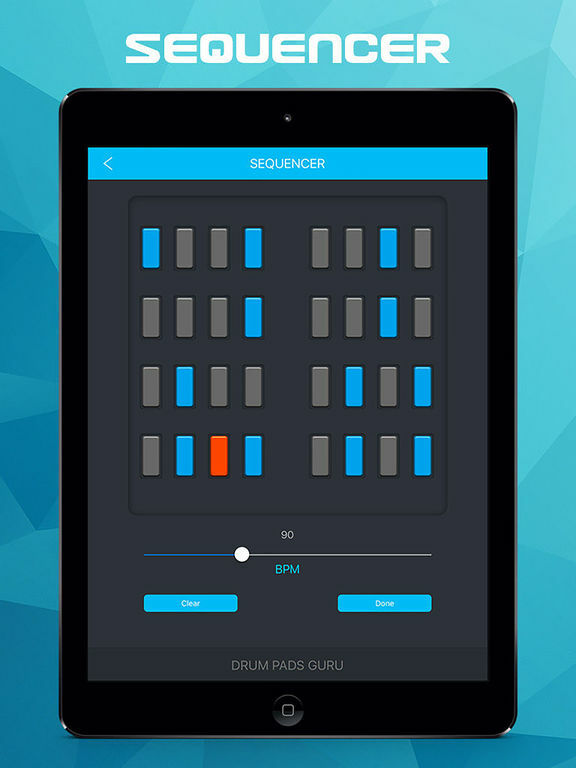 The app has fresh sample packs, interactive tutorials and videos, a community of users to see what music they have created, an arcade mode that allows users to unlock new presets, new sound packs weekly, advanced drum pads, sequencer mode and a recording mode. There’s an in-app purchase to remove ads. 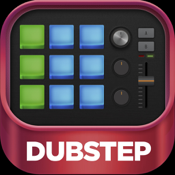 This app turns your iDevice into a Dubstep studio where you are the producer. 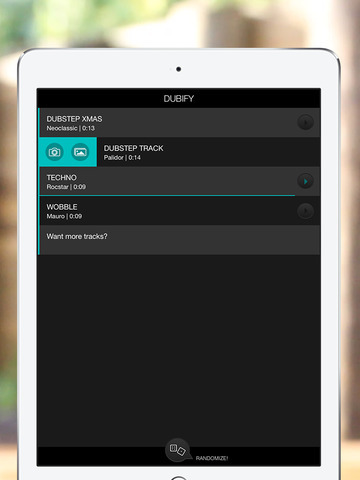 Create your very own dubstep audio tracks and share them with others. There are loops, one-shots, and samples that you can use when creating your tracks. 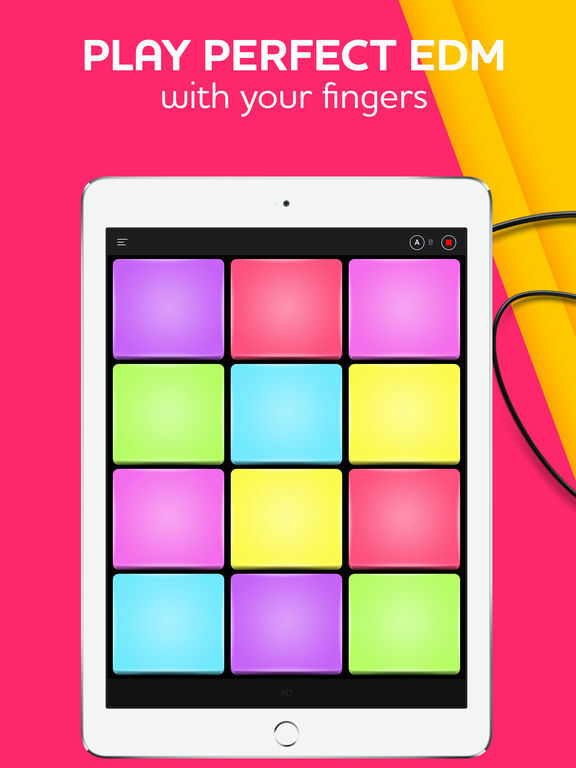 The app has a Metronome for assistance with keeping rhythm. The touch gestures and controls are accurately responsive. 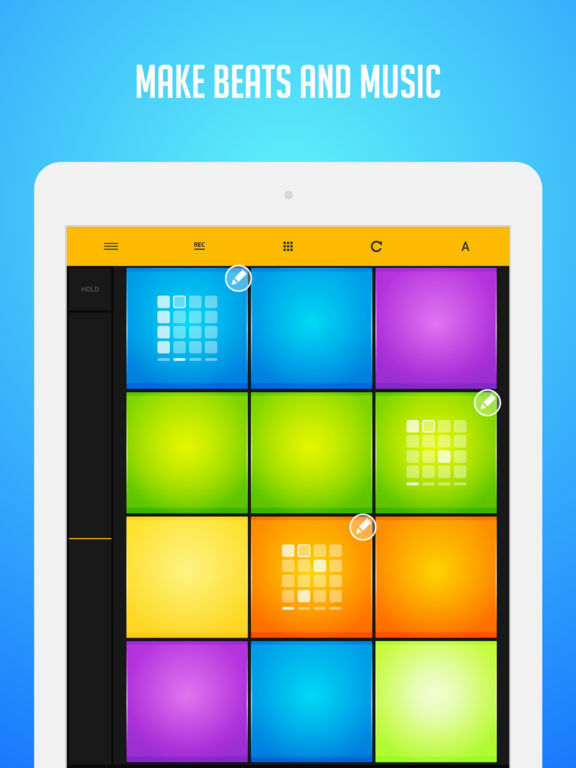 A cool interface keeps things simple so that you can focus on making the beats and less on figuring the app out. 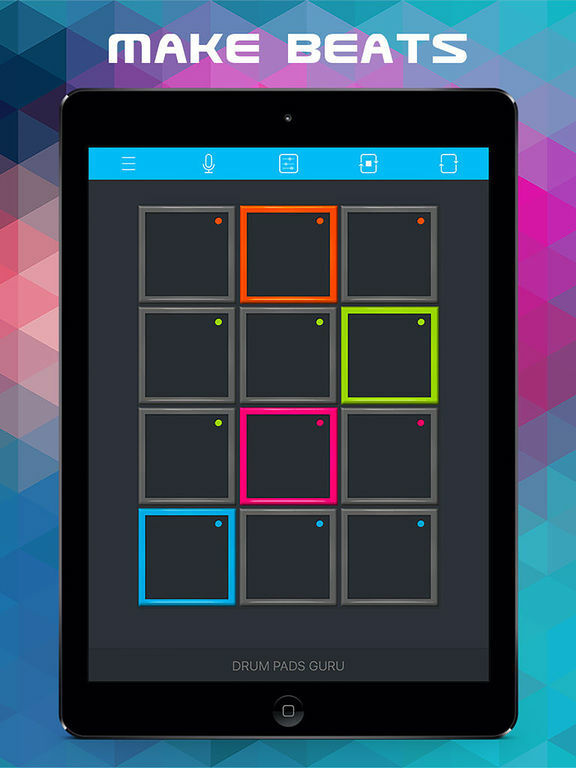 Here are 24 colorful drum pads that users can create awesome sounds and tracks on. 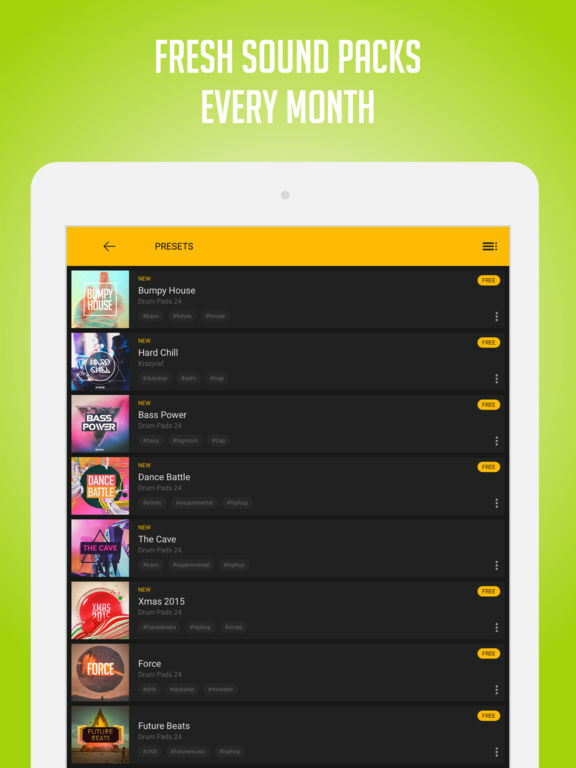 In addition to your own creations, the app delivers fresh new sounds each month. 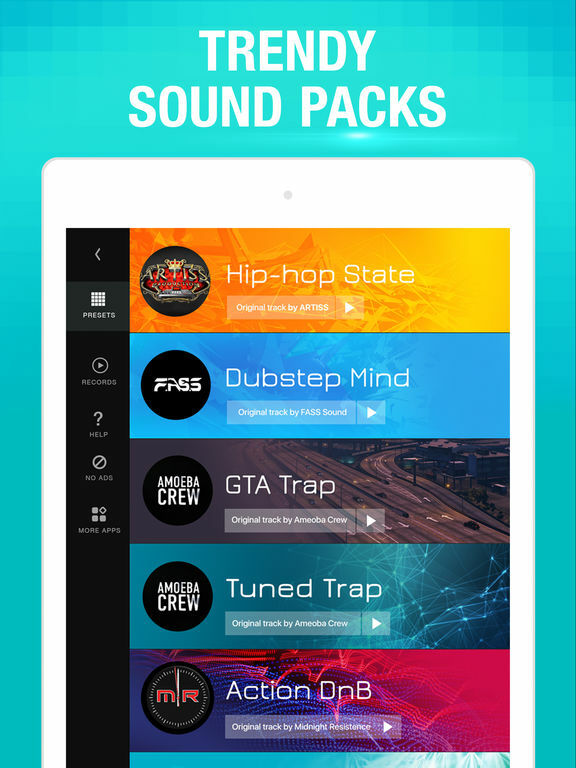 Choose from more than 1600 high quality sounds, get exclusive samples from industry professionals, watch videos, view tutorials, mix sounds between two scenes, a pattern editor, tweak the pitch for each pad and create your own sounds, new videos of beat making tricks and much more. There are in-app purchases for coins and to remove ads. 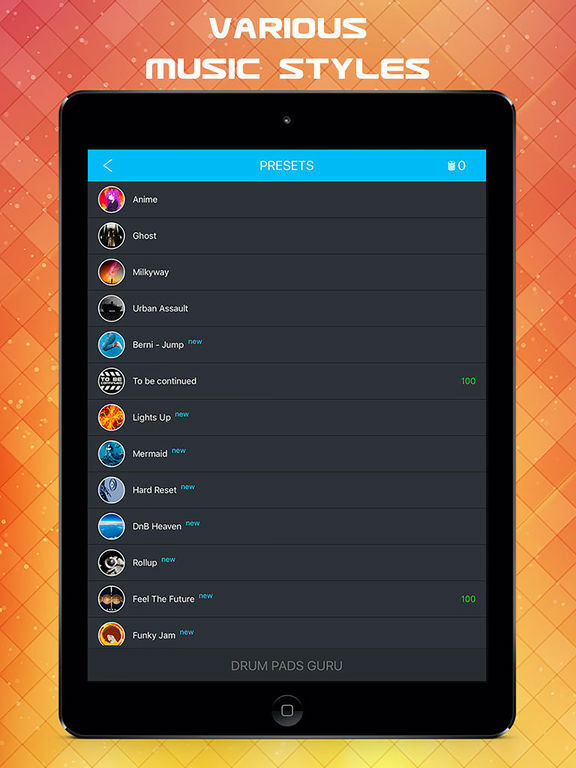 Drum Pads Guru will help users become a guru at making fresh sounds and tracks. 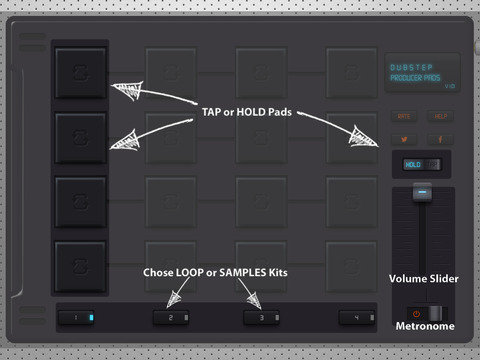 This sampler has drum pads for users looking to create musical tracks for whatever purpose. 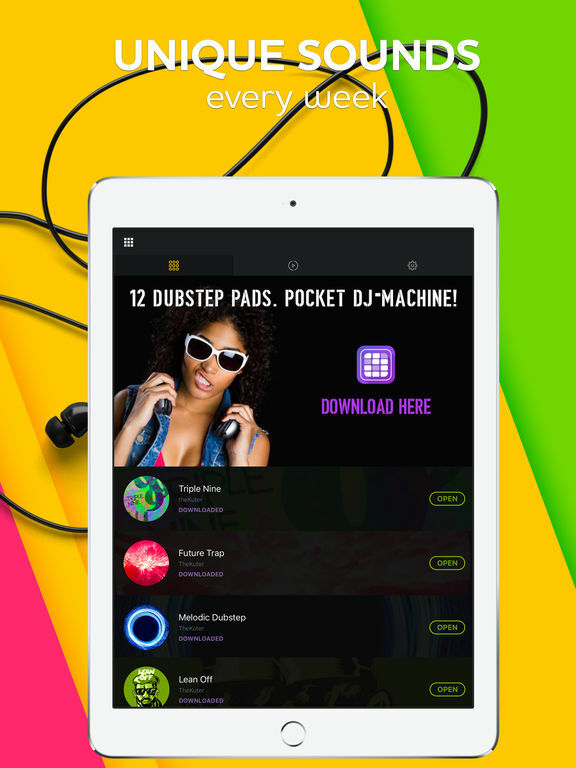 From fun to dropping a new beat when you DJ your next gig, this app might be the solution that you have been looking for. There are ready to use presets, compete against others in beat making skills, separate pads by colors, smooth controls and more. There are in-app purchases for coins. 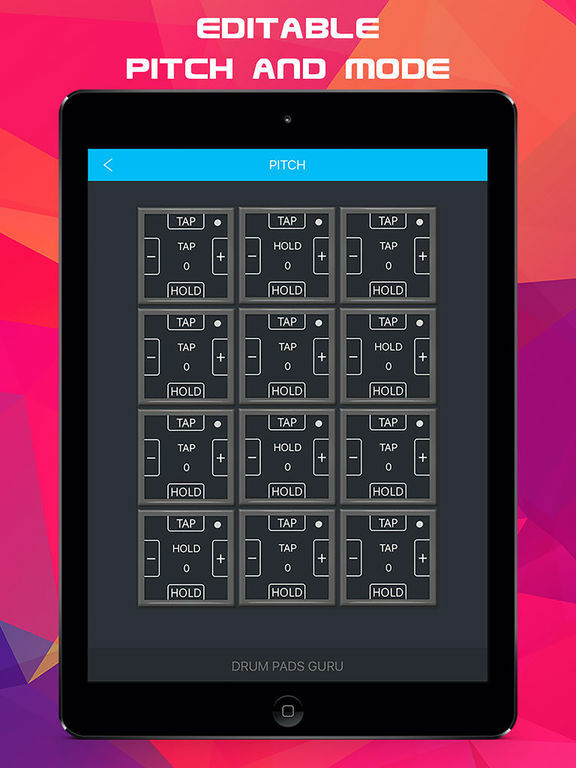 Create powerful and awesome sounding EDM tracks with this cool app. 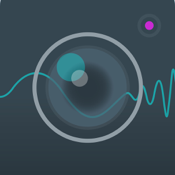 This app makes it seem like you have a studio in your hand. Pick a style, choose your chords and watch how you turn these beats into a work of art. 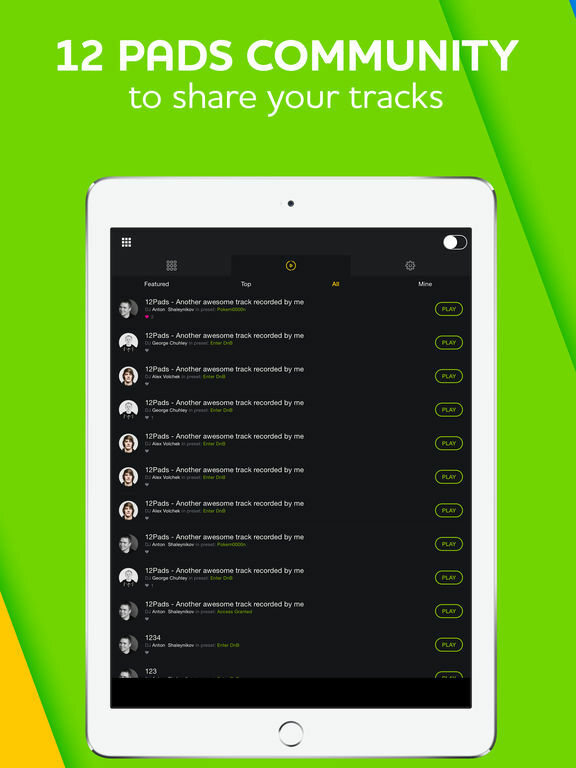 Stretch or shorten loops, build tracks, hear your tracks across 15 different EDM styles and tempos, auto-transpose your track, mix your track, adjust tempo, record to audio, share with others and more. 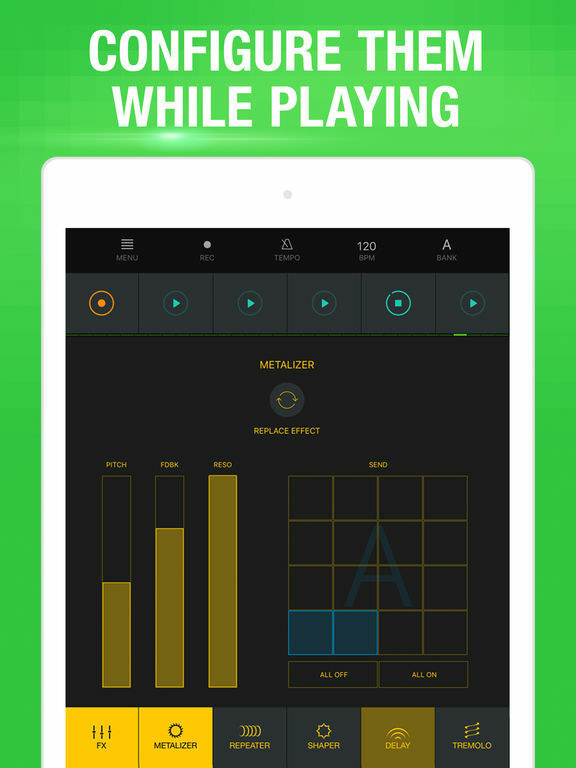 This is one of the most powerful EDM apps available and you will definitely feel that power when you create your own tracks. Now, here’s an app that will certainly add some humor and amusement to your day. 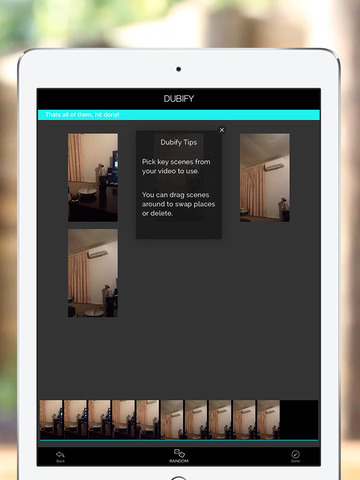 Dubify turns your personal videos into entertaining clips as they become synced with dubstep music. With just one tap, this app will do all of the work for you. 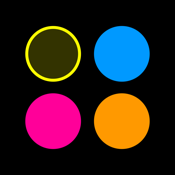 Once the app is done creating, you can share the hilarious videos with friends and social media followers. Some of the cool features include a holiday theme, crazy loops and an epic rewind, play scenes forwards or backwards and more. There’s an in-app purchase to unlock all of the features. 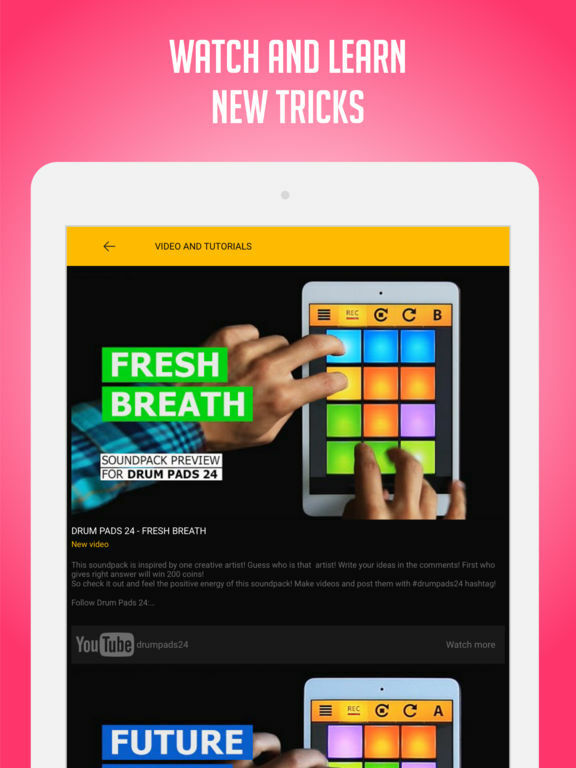 Triqtraq provides users with a platform to create original beats while on the go. There’s a one-window interface to perform your creative magic. 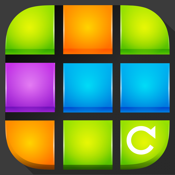 Compose and tweak beats, build up or break down your patterns, compose up to 16 patterns, real-time sound manipulation, record your sounds, over 400 included samples across 4 categories, import sounds, sync with other apps, export your tunes and ideas to other apps, step editor, control loop speed and range, adjust channel effects and so much more. This app is powerful and addicting. 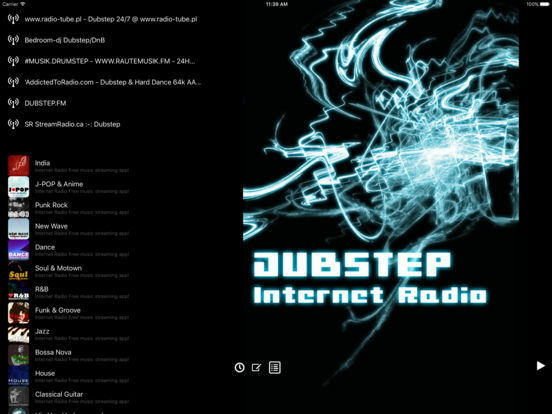 Dubstep - Internet Radio Free music streaming app! Do you love listening to dubstep music every day? 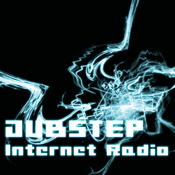 Well, if you answered ‘yes’ then check out the Dubstep Internet Radio app and enjoy your favorite music wherever you go. 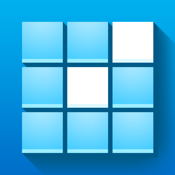 This app is very simple to use. 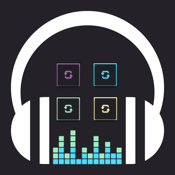 It brings the best dubstep channels from Shoutcast right to your fingertips. Now, you don’t have to search through all of the channels to find them on your own. As long as you have internet connection, you can enjoy dubstep music. There is an in-app purchase for the sleep timer feature. 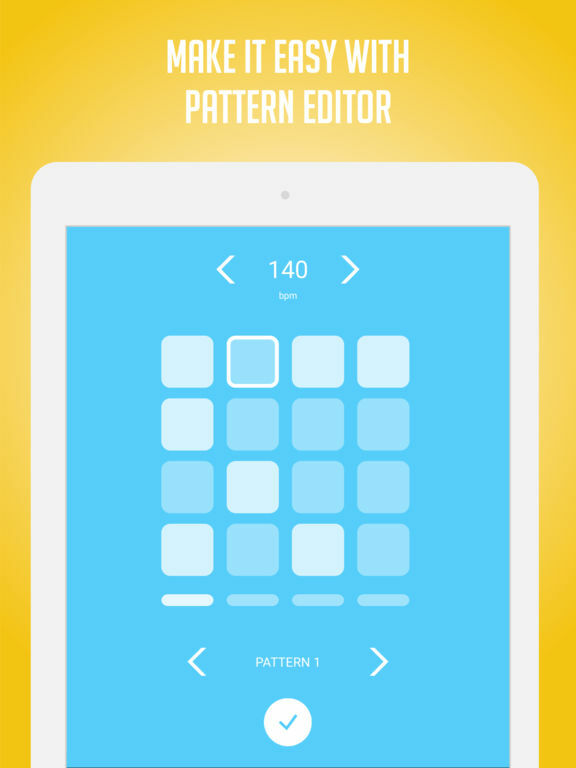 This app is designed with dubstep iOS users in mind. 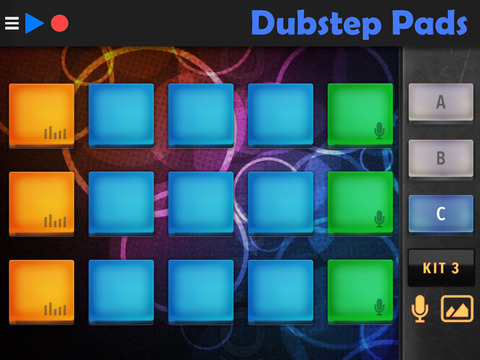 There are 90 drum pads with different beats, loops and vocals for you to create some dubstep magic. It also features 90 realistic sounds, 6 complete kits of dubstep music, studio quality audio, very easy to play and control, 3 examples, a mode for recording and more. This app is free to use, but does require an in-app purchase to remove the adds. 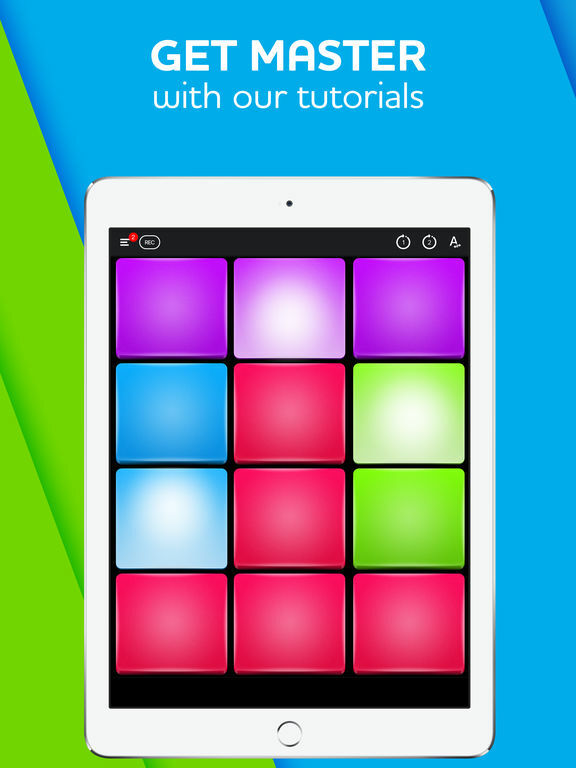 It’s ideal for not only DJ’s and advanced dubstep creators, but also for beginners too. 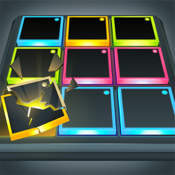 Perform beats, liven up a party or just have some fun with friends by using the Beat Maker Go! app. 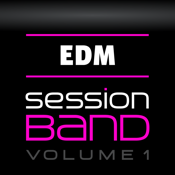 There’s a library of presets from different EDM genres including Dubstep. The high-quality samples are made by professional producers and musicians. 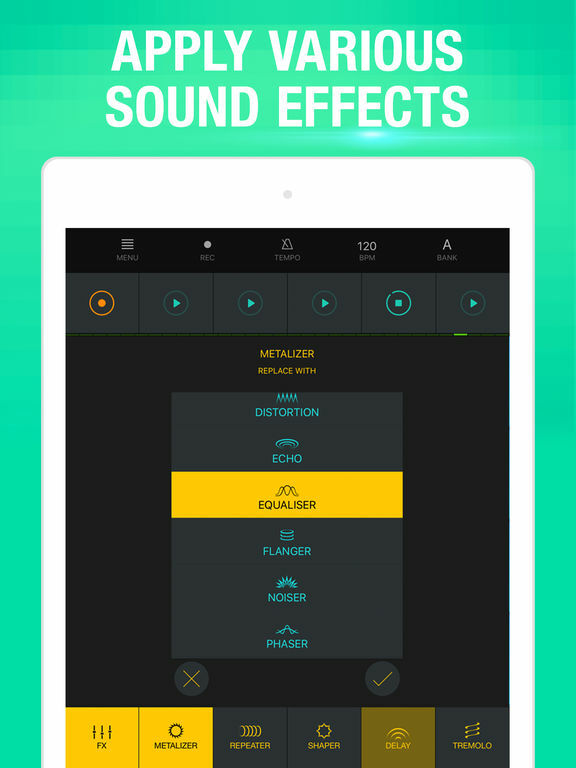 Use up to 5 effects at once, 32 sound pads in two banks, multiple audio effects, built-in metronome, real-time configuration of effects, music session recording and sharing, add sounds to recorded loops, predefined beat loops and more. There’s an in-app purchase to remove ads.